For the nature lovers, there are over 200 species of birds, both tropical and exotic, which makes this island the perfect stop for photo buffs and wildlife aficionados. You'll soon discover that flamingos can be found at the salt ponds and you will be able to see the protected flamingo sanctuary on our Bonaire Sightseeing and Plaza Beach Resort Excursion. There are other birds like the Caribbean parakeet and the yellow-shouldered parrot which can only be found here, nowhere else. With us, you can explore nature to your heart's content and we even have excursions that will take you to visit Aletta's Goat Farm or the Bonaire Donkey Sanctuary. Round trip transportation from your Bonaire cruise ship terminal! One hour of guided snorkeling at a beautiful Bonaire marine park reef! Open Bar: soft drinks, fruit punch, beer, wine (rose and white) and rum punch! Snacks: brie cheese, tuna salad, fresh fruit and something sweet! Coastal cruise on board a 44-foot sailing boat, marine toilet available! Enjoy a lovely sail along the coastline and then experience a guided snorkel by professional Bonaire shore excursion guides. Open bar and snacks served on board this 3-hour sailing boat excursion! Round-trip, air-conditioned transportation from your Bonaire cruise ship terminal! Water-cooler on board all excursion vehicles! 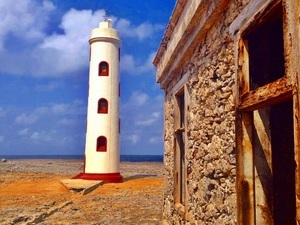 Guided sightseeing of Bonaire Island! 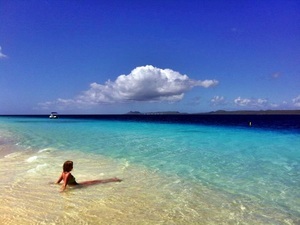 Discover the island of Bonaire! On this Bonaire Sightseeing Cruise Excursion journey through the island's nature, history and cultural highlights sightseeing from the comforts of an air-conditioned vehicle. Open Air Bus Sightseeing: Te Amo Beach, Salt Flats, Flamingo Sanctuary, Salt Plantation and Slave House, Lighthouse, Lac Bay and Sorobon! One hour of guided snorkel excursion at a beautiful Bonaire reef! Open Bar at the boat: soft drinks, fruit punch, beer, wine (rose and white) and rum punch! Snacks at the boat: brie cheese, tuna salad, fresh fruit and something sweet! Coastal sailing cruise (approx. 1.5 hours) on board a 44-foot sailing boat! 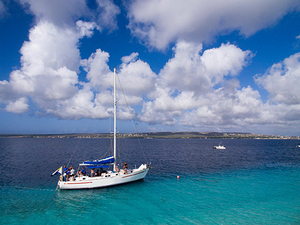 Enjoy Bonaire in a unique way with this excursion. Get the chance to sail and snorkel, visit the popular beaches, the salt flats and many other sites! Private sailboat charter for your group! English speaking certified captain and attentive crew! Choose what activity you want to do and how many in your party up to 20 participants! Sail to Klein or to the South Coast, snorkel or just relax, you choose where to go! Open bar of local beer, soft drinks, rum, and wine! Snorkel equipment including mask, sterilized snorkel tube/mouthpiece, and flotation vest! 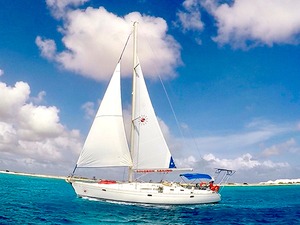 While in Bonaire, enjoy a private sail in the Caribbean Sea for just you and your family or friends. Drinks and snacks are included, so you only need to relax and have fun! 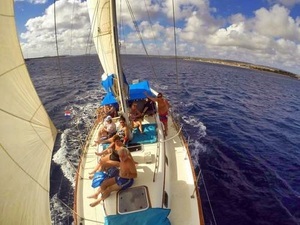 Cruise to Klein Bonaire on board a new sloop boat! 1.5 hr free time in No Name Beach! Small group of a maximum of 23 guests on the boat! Super vacation value! Cruise on a brand new sloop style boat to No Name Beach in Klein where you can swim, snorkel or if you prefer, walk along the beautiful sandy beach. Snacks and beverages are included on board the boat. All at a great low price! English speaking certified shore excursion guides and dive masters! Boat ride to dive sites! Complimentary bottled water, soft drinks, and snacks on board! 2 tank dive to see some of the incredible underwater sights! For certified SCUBA divers only! Super personalized service, only 6 participants per scuba diving shore excursion boat! 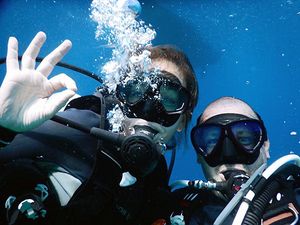 Explore the underwater beauty of Bonaire with this guided 2 tank certified scuba diving. You will dive at the National Marine Park where you will have the opportunity to admire the beautiful coral and colorful fish. Have fun! English speaking certified shore excursion snorkel guides! 2 reef snorkel to see some of the incredible underwater sights! Boat ride to snorkel sites! Super personalized service, only 10 participants per shore excursion boat! No better way to spend your day in Bonaire than exploring the amazing underwater life this Caribbean Island has to offer! 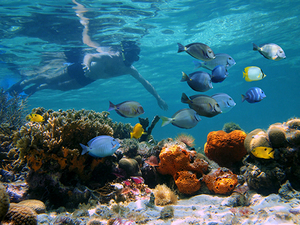 Bonaire's Marine Park is considered one of the best in the area and it is home of hundreds of fish and coral. 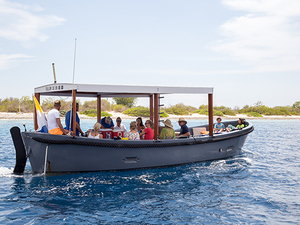 Round trip water taxi transportation from your Bonaire cruise ship terminal! English speaking shore excursion host! Welcome beverage at Klein Bonaire! With this shore excursion, you will cruise over to Klein Bonaire also known as Little Bonaire (ferry service by water taxi). Full of white sandy beaches, turquoise blue water and lots of peace and quiet. Your sliver of paradise!